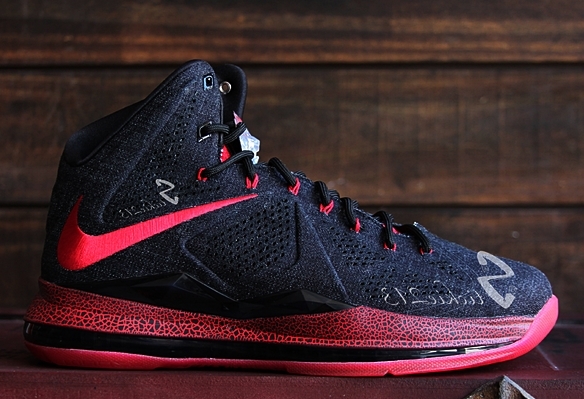 We will finally get our hands on the highly-anticipated Nike LeBron X EXT Denim this weekend. 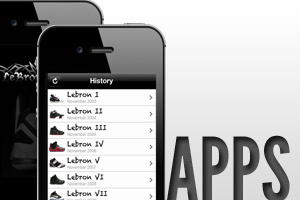 To spice up this upcoming kick from Nike, are you aware that there is also alternate Black Denim edition of this kick? 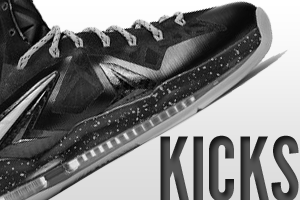 LeBron James rocked his own edition of this shoe, which is known as the Nike LeBron X NSW Black Denim PE. Compared the soon-to-be-released Black Denim, this PE kick features a darker shade of the Denim and Pink kick along with a cracked pattern on the midsole. This kick will not be available for retail, but you can get its retail counterpart this weekend for just $180 per pair! Watch out for the Midnight Navy/Midnight Navy-Hazelnut-Fireberry colorway of the Nike LeBron X EXT this June 22nd!